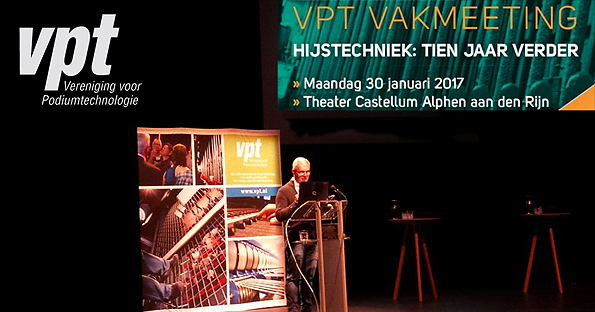 On the 30th of January 2017, BLUMANO participated in the conference “Hoisting Technique: 10 years later”, which was organised by VPT, the Dutch association for stage technology. The keynote speech was given by BLUMANO’s director, Cristiano Giavedoni, who entertained the large audience with a presentation called “Safety in Machinery: The Lost Island”, that discussed four approaches to describe the reality of machinery safety in the entertainment industry. From the islands that don’t exist – absence of safety – to the existence of too many islands; the myth of redundancy, passing through the requirements listed in the European standards, discovering the island you can’t find, and concluding with those lost islands what safety installation assessments may lose their initial intrinsic safety due to the lack of planning, training, expertise and communication.